Published: Dec. 30, 2018 at 02:29 p.m. Published: Dec. 23, 2018 at 01:38 p.m. Published: Dec. 16, 2018 at 02:39 p.m. 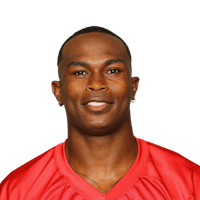 Published: Dec. 9, 2018 at 03:39 p.m.
Atlanta Falcons quarterback Matt Ryan finds wide receiver Julio Jones for a 12-yard touchdown.